Assembling new systems especially pallet racks systems and construction rack variations. Realization of construction with entranceway racks for the same type of goods and for high dimensioned goods of the same type. Assembling of permanent work ramps, either one or multi levelled, for automatic plants or plants with operators that include stairs, handrails and protections. 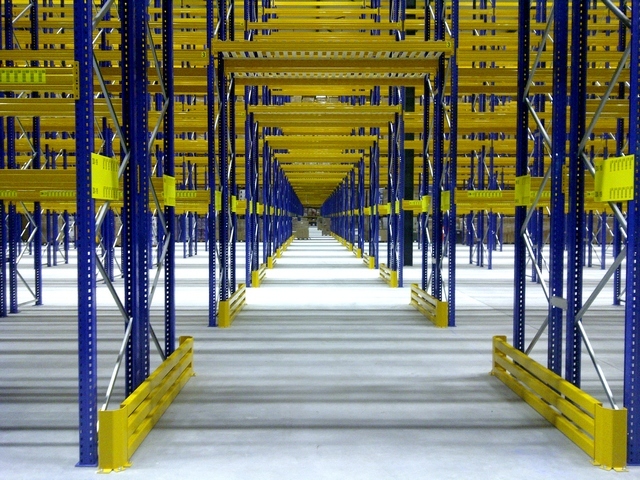 Assembling of shelve racks for smaller goods, e.g. for archive, including traverse cranes with mechanical control. Assembling of heavy console racks with beams are for longer and mostly piped or profiled materials, different kinds of floors and long loaded pallets, etc. Assembling of small „Miniload“ are for quick placing small boxes filled with small-sized things and also for big „Maxiloads“ for placing the special container girders, such as free-flowing material. Assembling of roller prone pallet racks which are systematically placed for purpose of self-supply on unloading side. Assembling of roller tracks in automatic plants connected to rack systems. Assembling of wide spectrum safety racks and connected to production units for decreasing of technical process lost. Assembling of wire netting barriers, e.g. 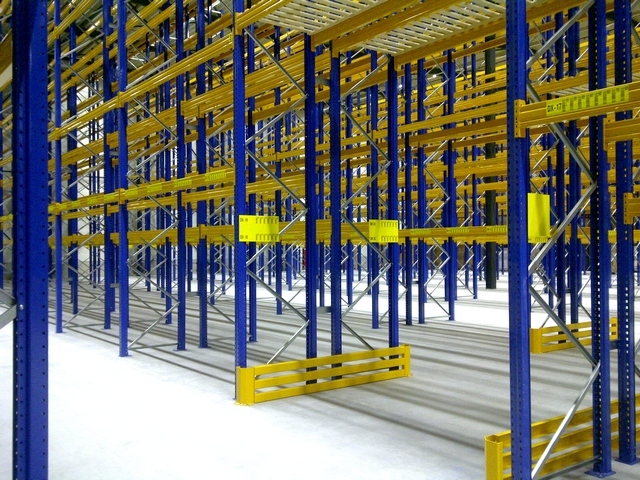 for one-side pallet rack in open space when the barrier can prevent material falling down. Combination of rack systems or specific features of racks and constructions. Dissembling of whole rack system or its parts, whole units or parts of steel constructions. Assembling of rack features such as nets prevent falling down the goods or endstops. KPassemblies can also offer you consultancy, technical estimate during reparations or during assemblies that are closely connected to racks or assembled steel framework. There is offered realization of assembly, usually by external company such as the KPassemblies based on a customer’s project order and their chosen producer of rack system. During the contract proceeding has the customer has time and free will to choose from a range of professionals with long experience. Most of the major rack system producers cooperate with more than one company and therefore stable cooperation with certain assembly company can elevate it into certain category, according to company ability or customer requirements. The best suitable criteria is offered to a customer together with the company for realization. There are also possibilities for individual customer demands, such as rebuilding, dismantling, adjustments, services or even demand for project elaboration and its realization by the assembly company. The company KPassemblies and its politics are trying to meet wide range of customer demands, not only for big ones but also for smaller ones. KPassemblies is open to any alternative procedures of closing contracts based on customer request. Work procedures of individual assemblies are conducted exactly according to all contract parties that approved project documentation. Any occurred complications are solved and adapted with the customer or designer during the assembly. The aim is to achieve the top project effectiveness and customer satisfaction.